At Saskatoon Roofing Services, we offer quality, timely service for all of your residential and commercial roofing emergencies. And a 5 year warranty and we are fully insured and covered by WCB. 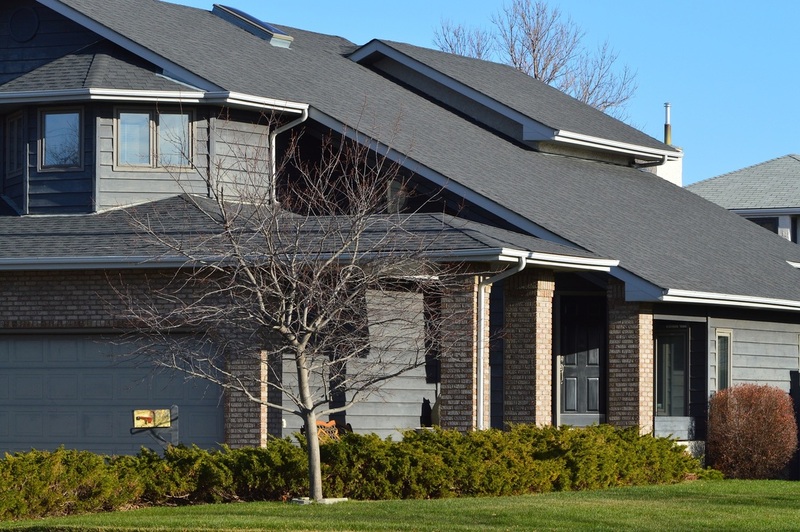 Whether you are in need of a new roof, roof repair, or just want your roof inspected; Saskatoon Roofing Services is here to meet all of your needs. We specialize in leak detection, repair and emergency roofing services, ice and water protection, snow removal, etc. New builds and roof replacements alike, Saskatoon Roofing Services, is the leading roofing contractor in Saskatoon. We take pride in the installation of each shingle (nailing, positioning, sealing), and we take special care to make sure all the flashing, soffit, and fascia are installed correctly and look good as well. Our experts will leave your roof looking better than we found it! We don’t cut any corners when it comes to underlayment and roof deck prep either and take special care around all ventilation, chimneys, and ridge caps. Saskatoon Roofing Services uses top quality brands and will work to get you the most competitive pricing in Saskatoon. Most importantly, WE CARE ABOUT OUR CUSTOMERS! Our team is composed uniquely of experienced, skilled, and reliable craftsmen in Saskatoon. Our focus on safety, accountability, and trust is what has made Saskatoon Roofing Services a reliable and efficnet roofer in Saskatoon. Saskatoon Roofing Services has earned a reputation as a roofing company that is reliable, trustworthy and 100% local since we are based in Saskatoon. Each job is performed with the understanding that our customers are our top priority. Not only are our roofers skilled with a hammer, but they value safety and integrity above all else. We see each roof through to completion and make sure that every last shingle is installed properly. Upon completion, the cleanup will leave the roof and home looking better than it was found. At Saskatoon Roofing Services, we understand the value of one’s roof. Your roof is the first defense against weather, and helps with heating and cooling of the home as well. With such a short warm season in Saskatoon, the roof can take a beating from the elements; and a leaky or damaged roof will cause many problems. We can provide full roof replacement or just repair work on older existing roofs. We also can install new roofs on any new build, both residential roofing and commercial. Before any work is done to a roof, a complete, thorough inspection is done to determine the best course of action. Our inspection experts act with trust and integrity when performing inspections and offering quotes for service. If you value integrity and trust, look no further than Saskatoon Roofing Services. We are a reputable, dependable, and skilled roofing contractor in Saskatoon. Our years of roofing experience in Saskatoon have helped create our sterling reputation. The first step in repairing or replacing a roof is performing a thorough roof inspection. 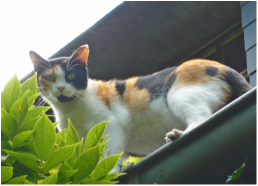 A reliable diagnosis of the roof must be obtained through the process of a roof inspection. Some roofing contractors will not take the time to thoroughly inspect the current roof before quoting service to an unsuspecting home owner. At Saskatoon Roofing Services, we operate with transparency and trust. Saskatoon Roofing Services will not perform any repair work unless it is deemed necessary. We work with the home owner to find the best course of action before performing a roof replacement of repair. We present you with the findings of the inspection and offer an expert opinion built from years of experience. Saskatoon Roofing Services WORKS FOR YOU. No work will be performed without consent, and all work will be performed to your satisfaction! If you feel your roof is damaged and needs repair, of if you just want an annual check-up on the state of your roof; let Saskatoon Roofing Services give you a trustworthy roof inspection. We believe we are one a good local roofing company in Saskatoon that offers quality work. What Makes This Saskatoon Roofing Contractor #1? At Saskatoon Roofing Services, we understand the importance of your roof during the harsh Saskatoon winters. That’s why we pride ourselves on our repair and emergency services. Prevention Services: We offer inspection services for leak detection. Snow removal after a heavy snow fall. Ice and water protection. We check seals and re-seal around chimneys, ridge caps, and all ventilation. Repair Services: We can repair and/or replace shingles, corrugated metal, fiberglass asphalt shingles, or cedar siding; eaves troughs, flashing, soffit and fascia. ​Don’t let Mother Nature ruin your lovely home. Call Saskatoon Roofing Services for all your annual roof inspections or emergency needs. If you feel your roof may be at risk, do not hesitate to call Saskatoon Roofing Services for an inspection or an estimate. We perform the job with integrity and are not looking to replace or repair your roof unless necessary. Upon the completion of a roof inspection, Saskatoon Roofing Services will work with the customer to come up with the best course of action regarding the integrity of the roof. Services resulting from a thorough roof inspection could be anything from roof maintenance all the way to a complete roof rebuild. There may be no need for any roofing repair work at all, and that is ok with us. Saskatoon Roofing Services values customer service and peace of mind. Roof maintenance services can include snow removal or debris removal as well as re-sealing old caulking. Ice and water protection services may be needed as a maintenance measure as well. Roofing repair includes everything from sealing areas around ridge caps, chimneys, and ventilation to fixing the flashing, eaves, or fascia. In the event a new roof is needed, Saskatoon Roofing Services takes great care in providing the utmost in service. From installing the roof decking all the way laying the final shingle, and every step in between; Saskatoon Roof Repair and Installation makes sure the nailing, positioning, sealing, etc. are done to the highest standard, using top quality brands. What kinds of Roofs Does Saskatoon's Best Roofer Work On? Saskatoon Roofing Services will inspect and repair most any roof. We have experience working on all style of roofs and with all roofing materials. Low slope/flat roof? No Problem. Rubber or metal roofing? You bet! Fiberglass asphalt shingles? That is correct. Garage, House, or Shed? All of the above. Whatever the problem; whatever the roof, Saskatoon Roofing Services will be there to inspect, repair, replace and service all of your roofing needs. Saskatoon Roofing Services are not only experts in roof inspection and roof repair work; we offer other services to our customers as well. Saskatoon Roofing Services has many years of experience in replacing, repairing, or painting siding. Cedar siding can take a beating in the harsh Saskatoon winters, and metal roofing or paneling rusts over time. We have skilled craftsmen with years of experience replacing siding and paneling, as well as roofing. Chimney in disrepair? No problem! Saskatoon Roofing Services can repair your chimney and prepare it for the demands of a cold Saskatoon winter. At Saskatoon Roofing Services, we do not limit our roofing services to standard, single family homes. We have a trusted reputation in commercial roofing throughout Saskatoon. Also, we will also work on smaller dwelling such as sheds, or detached garages. No job is too small or too large for Saskatoon Roofing Services! We work hard to embellish the city and our goal is to become the number one roofing Saskatoon companies. Being centrally located throughout Saskatoon and the greater Saskatoon area, we want our name to be associated with local experts in roofing repair and roof inspection. We believe we are a nice roofing company to work with in Saskatoon. We live in the areas that we service, and take great pride in knowing that we are offering a great roofing service to the people of Saskatoon. If you are not happy with the roofing, siding, or inspection service provided to you by Saskatoon Roofing Services, we will do our best to rectify the problem. ​We want you as a customer, and we want you to be happy with our work. If you have any questions, need your roof inspected or repaired, or need a quote for work on siding or other repairs, please give Roofing Saskatoon Services a call. We want you as a customer, and we want to keep you warm and dry.